Our society's Communications Committee regularly publishes a newsletter to announce and document the recent events and activities of the Post. 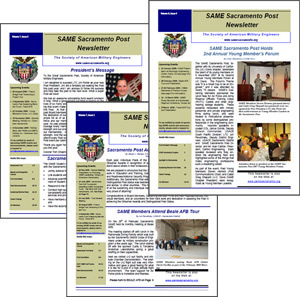 The Newsletters are linked on this page for your perusal. If you have any recommendations for the Communications Committee, would like to submit an article for consideration by the Board (for consideration of publication), or would like to help with the Newsletter publication, please contact any of the Board members at any time with your request.